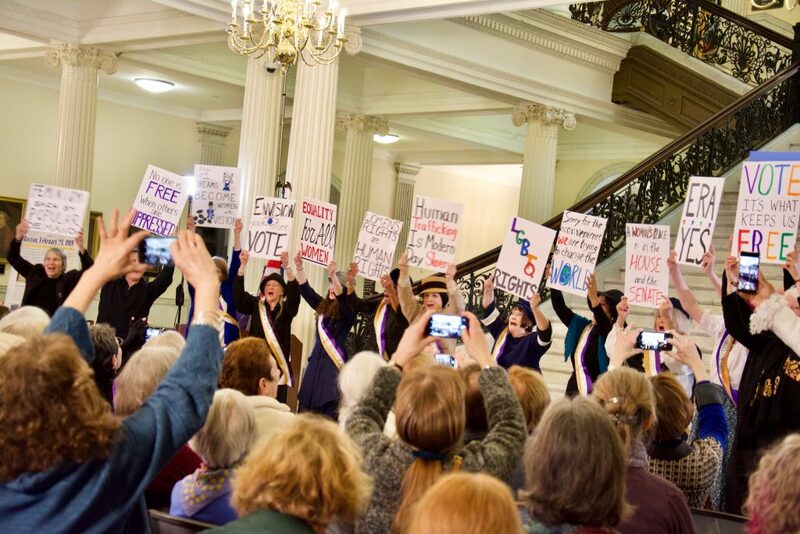 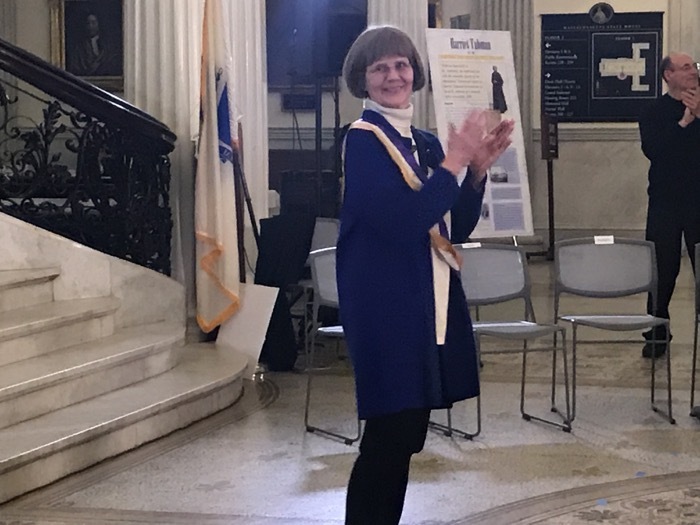 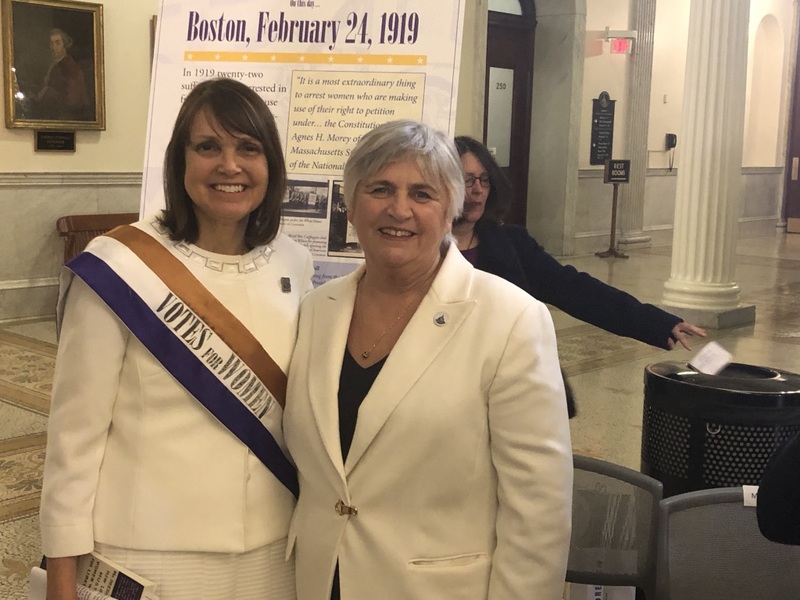 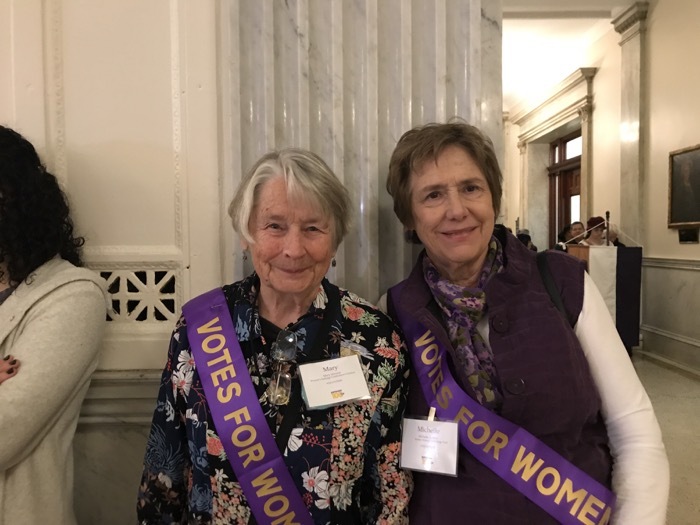 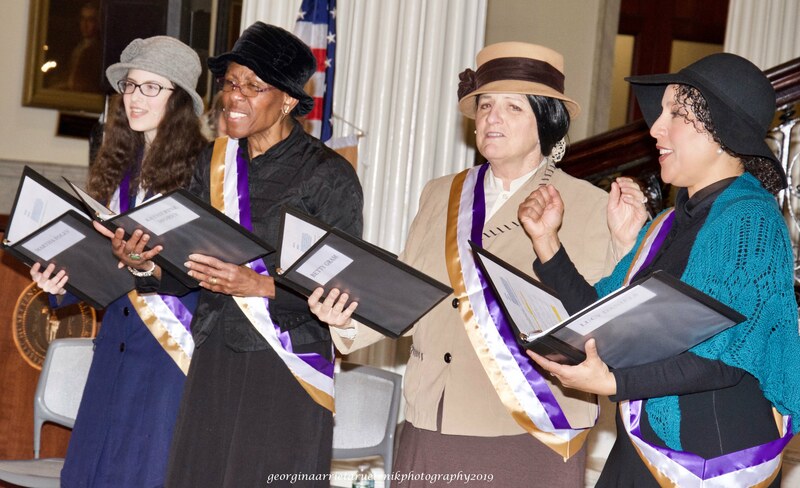 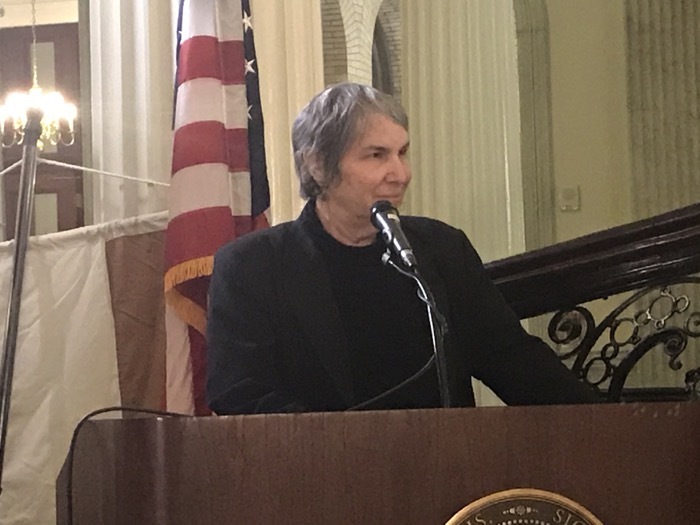 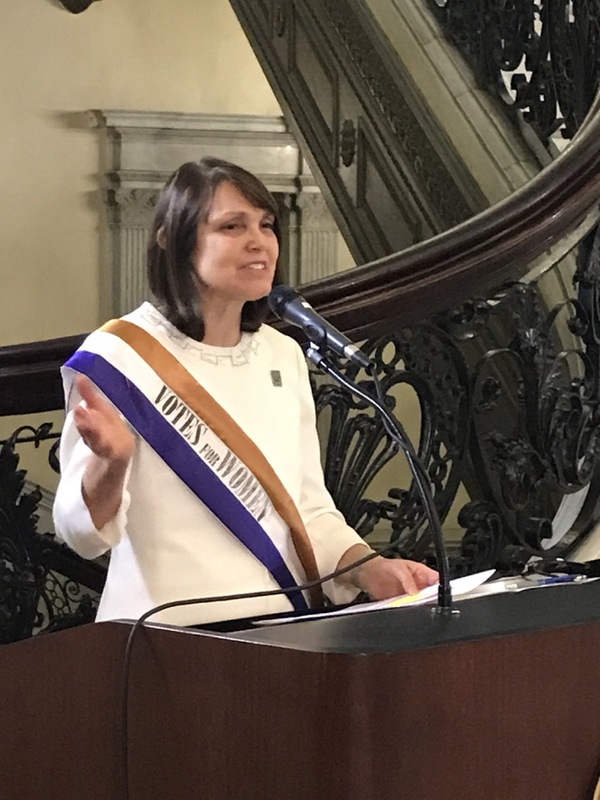 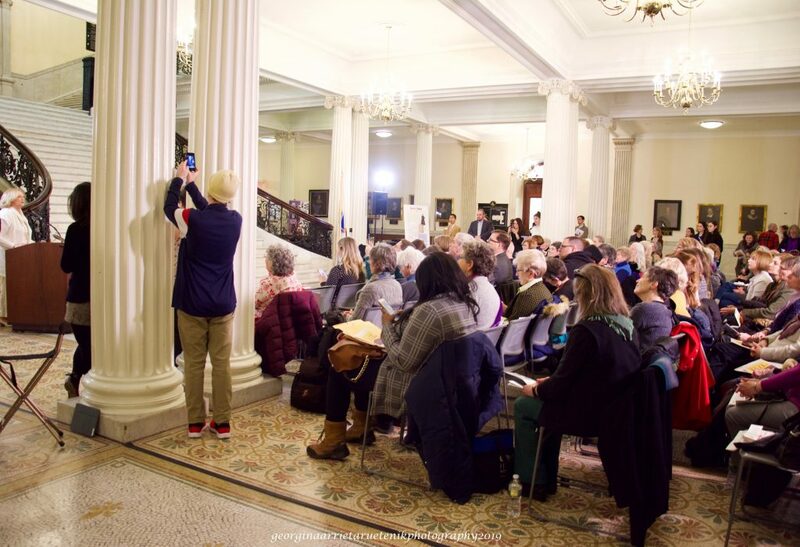 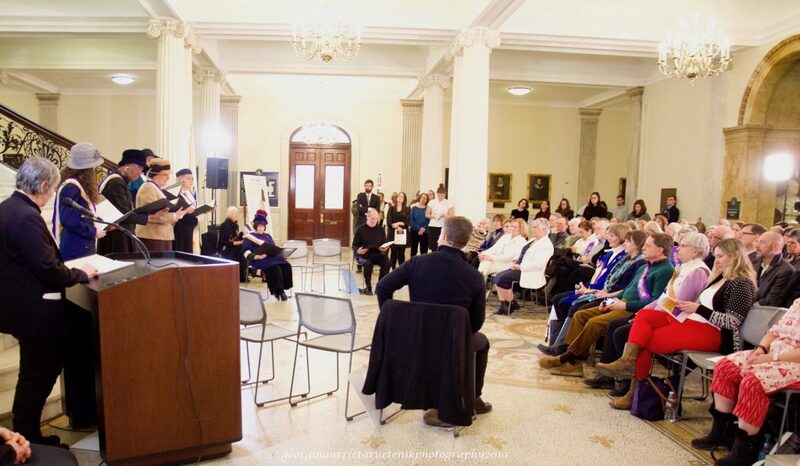 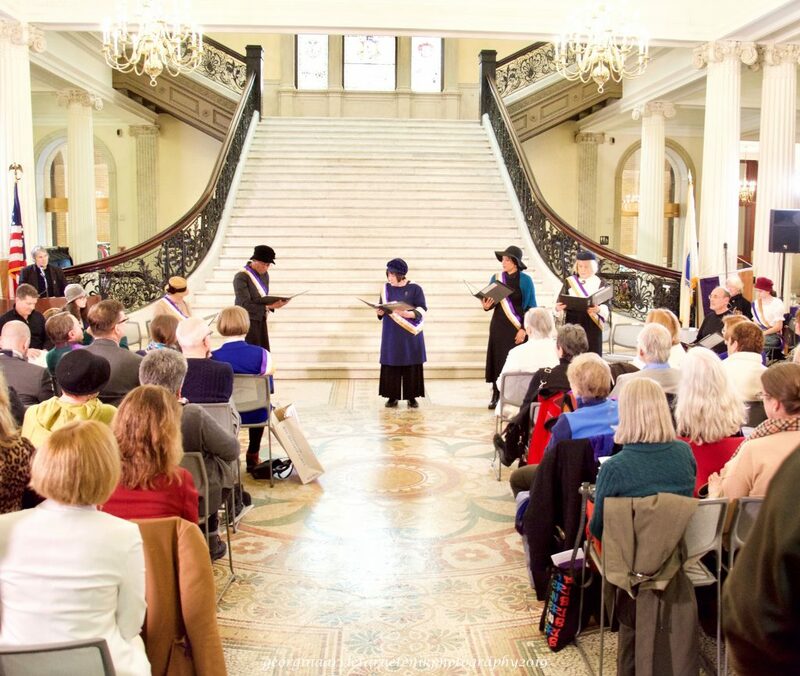 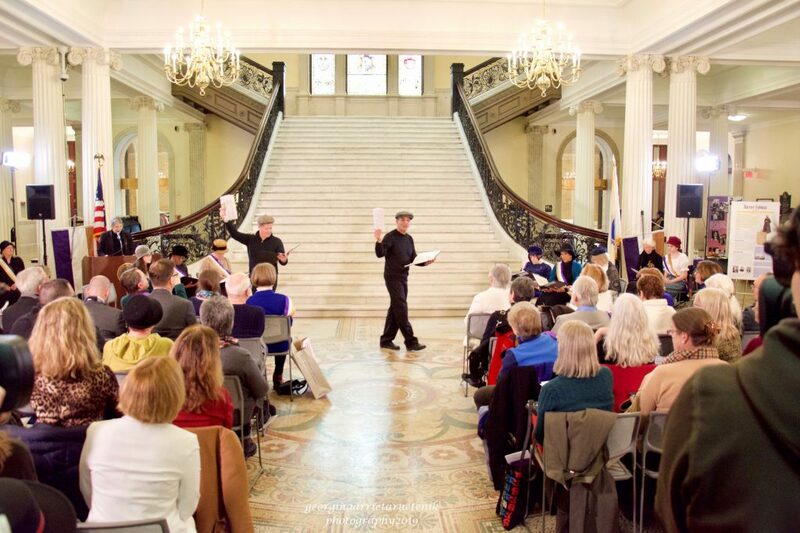 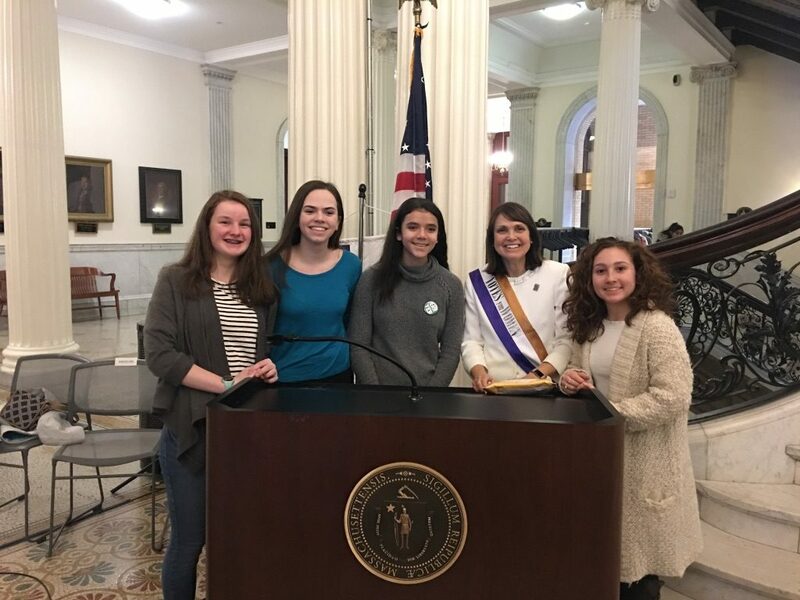 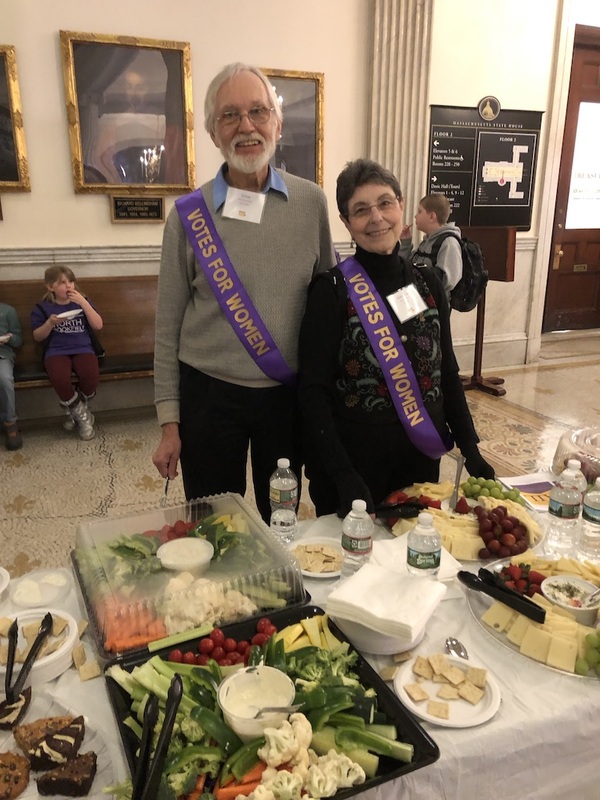 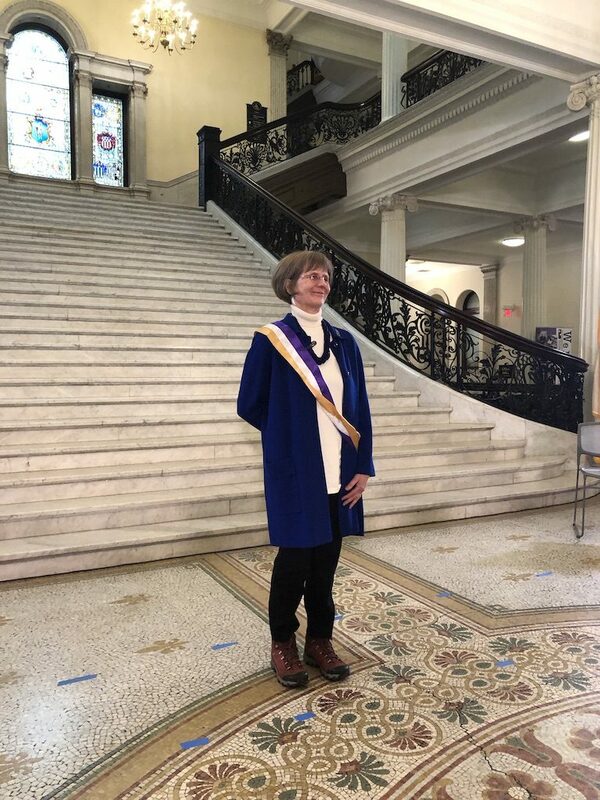 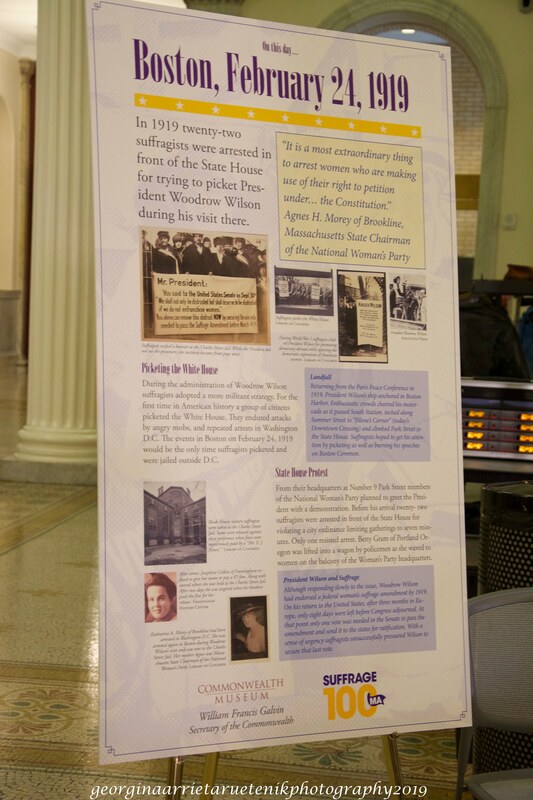 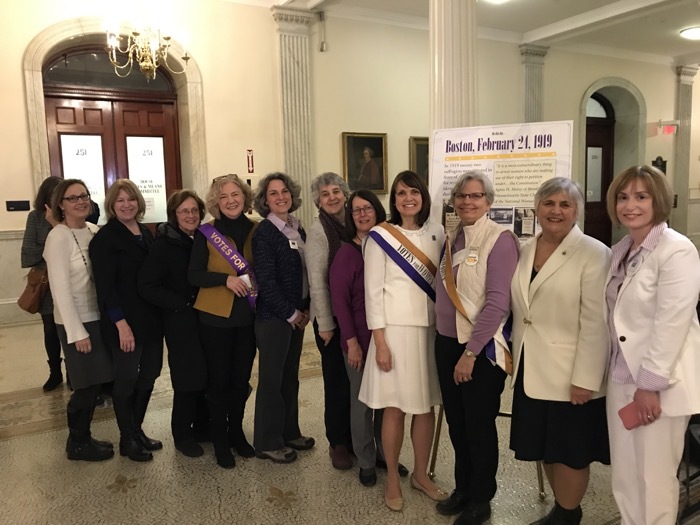 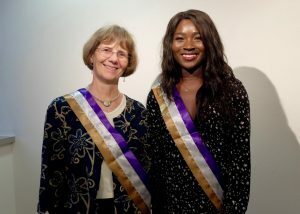 On Thursday, February 28, 2019, the Women’s Suffrage Celebration Coalition of Massachusetts (WSCC), the Brandeis University Women’s Studies Research Center, the Boston Women’s Heritage Trail, and We Did it For You! 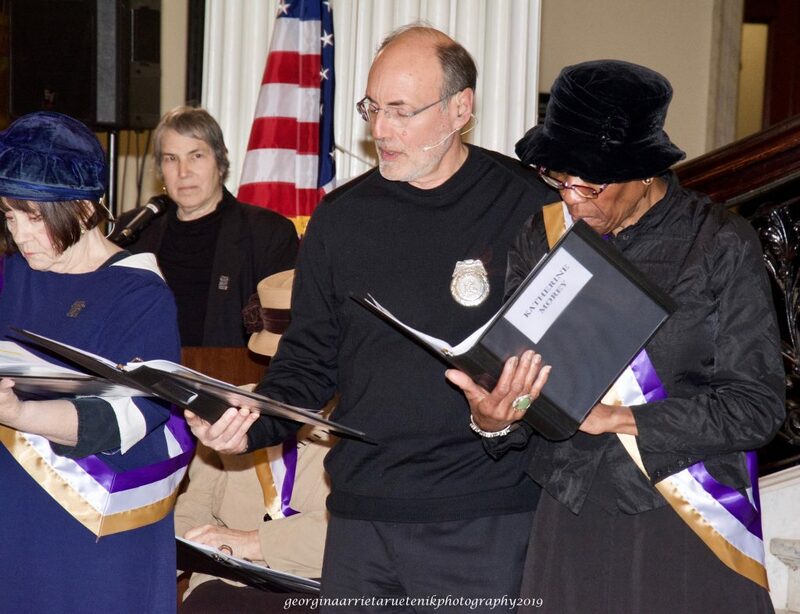 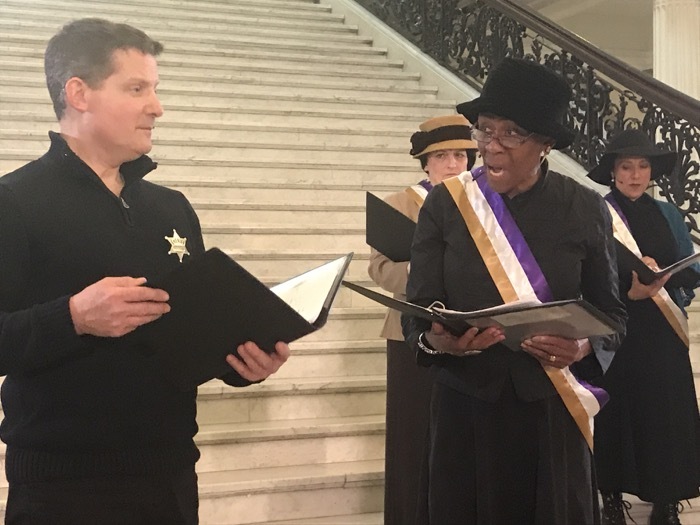 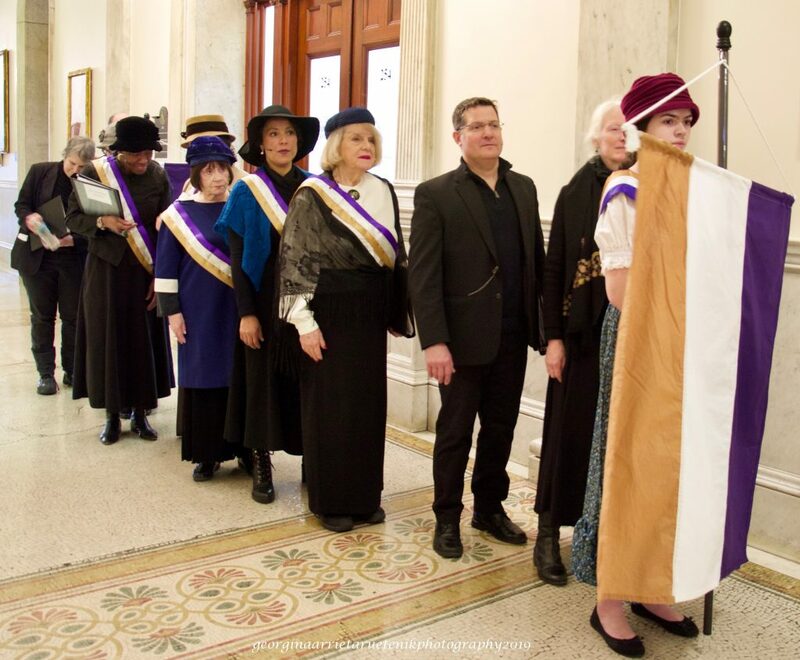 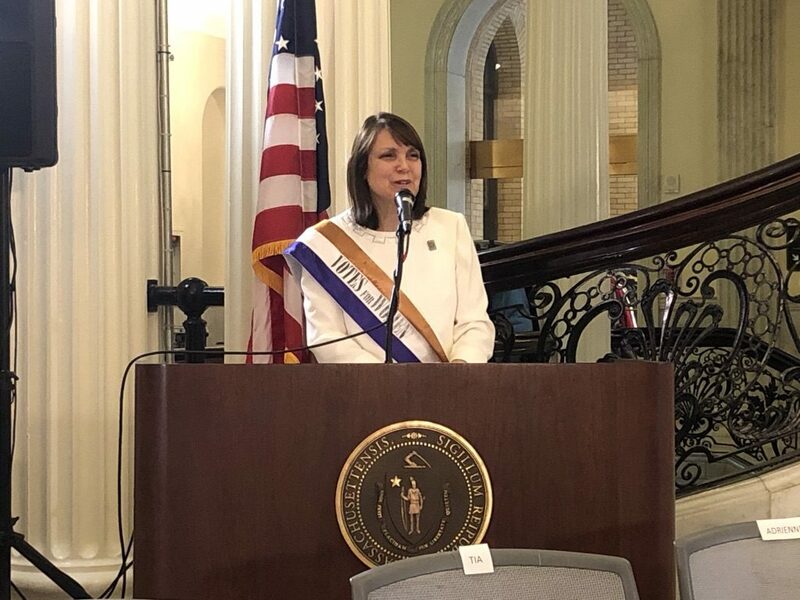 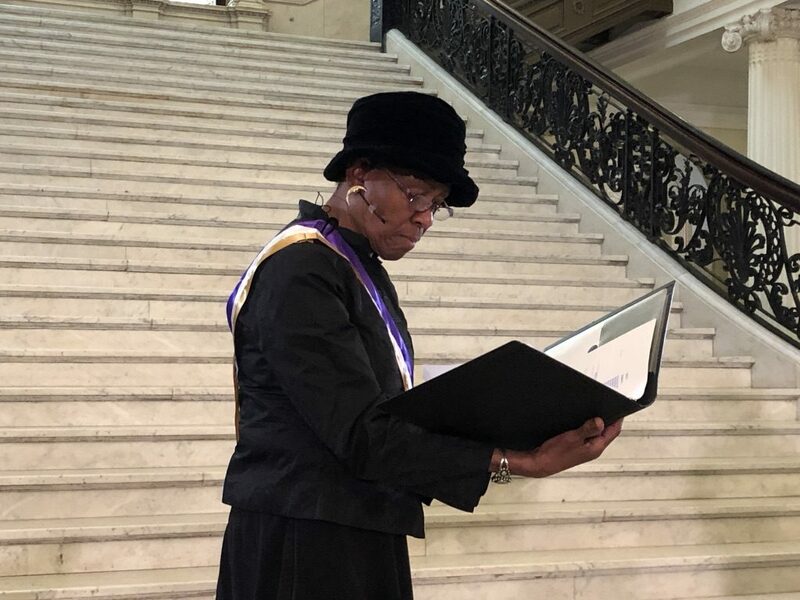 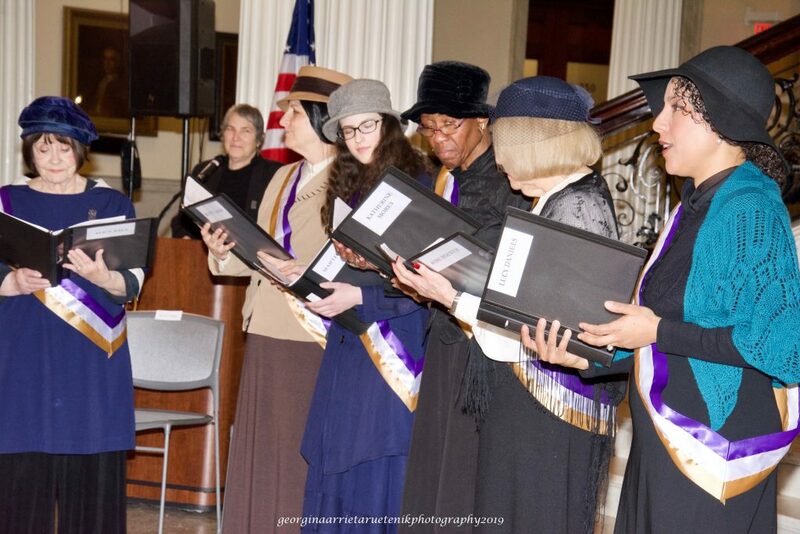 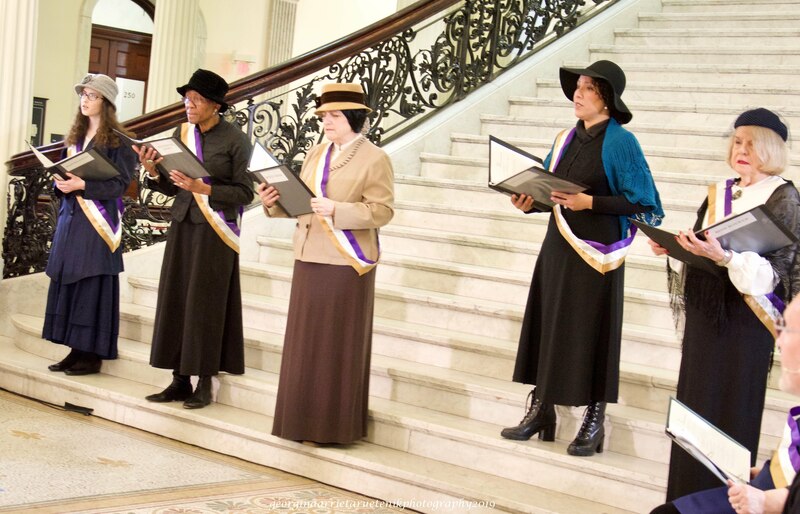 Women’s Journey Through History co-sponsored a commemoration of the centennial of a seminal moment in the 72-year woman suffrage movement: the last suffragists arrested and jailed for picketing President Woodrow Wilson – at the State House in Boston! A staged reading of “I Want to Go to Jail” was performed in period costumes by cast members from We Did it For You! 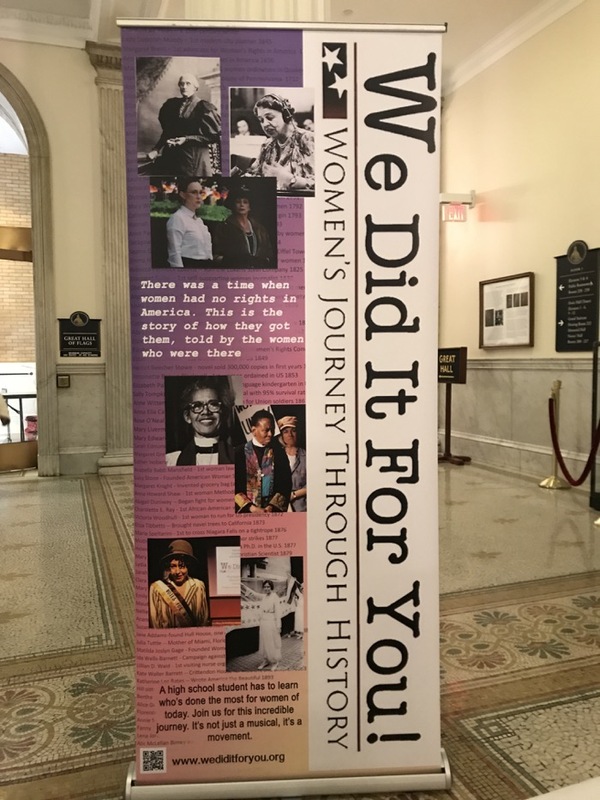 Women’s Journey Through History. 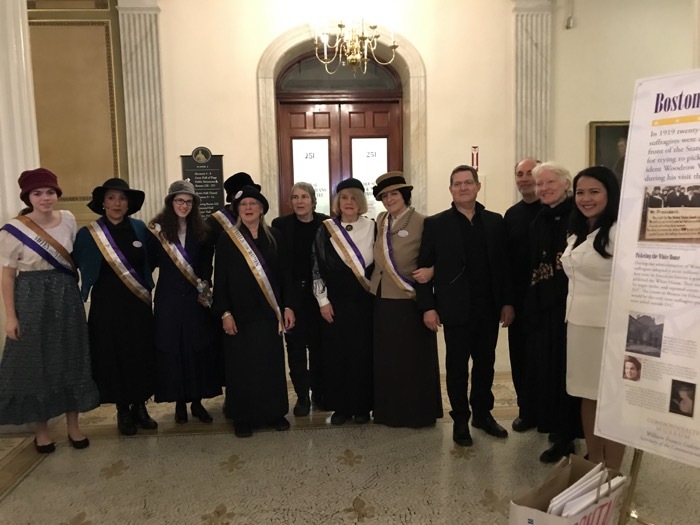 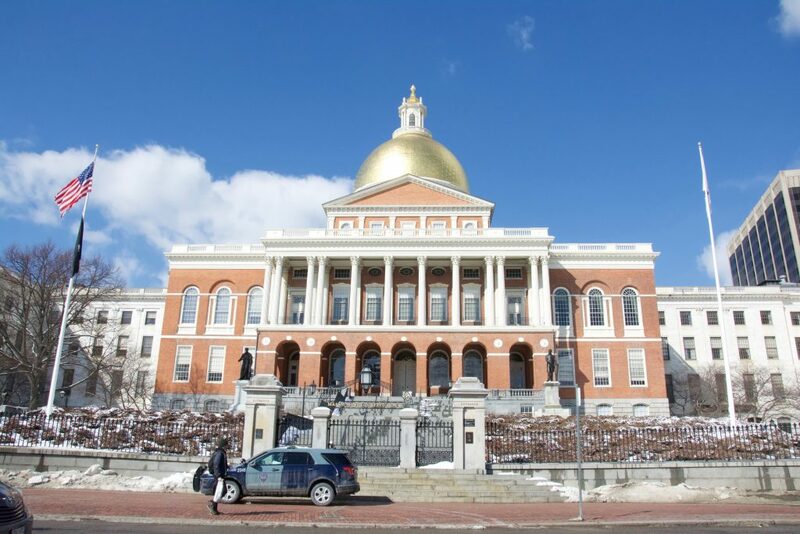 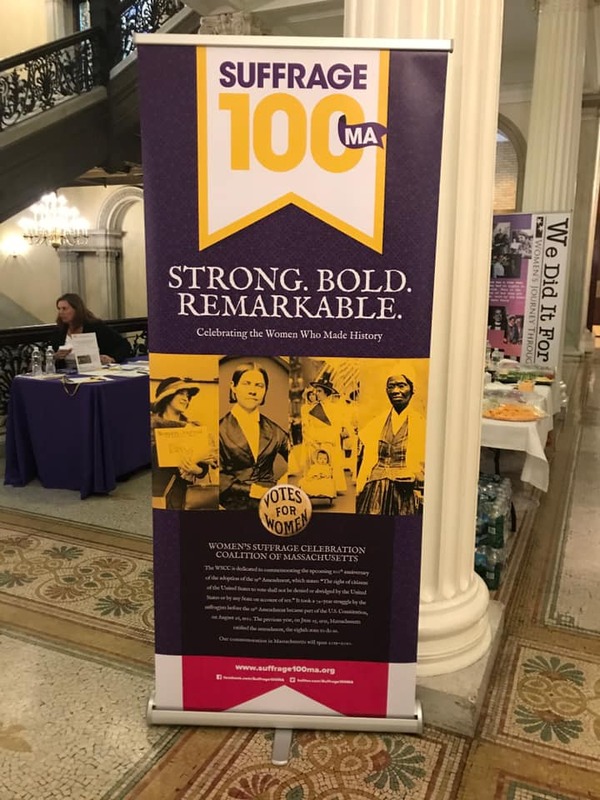 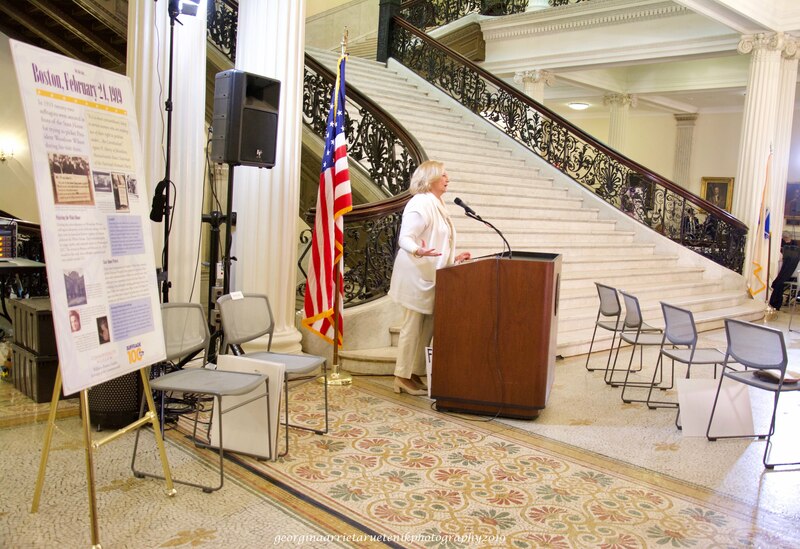 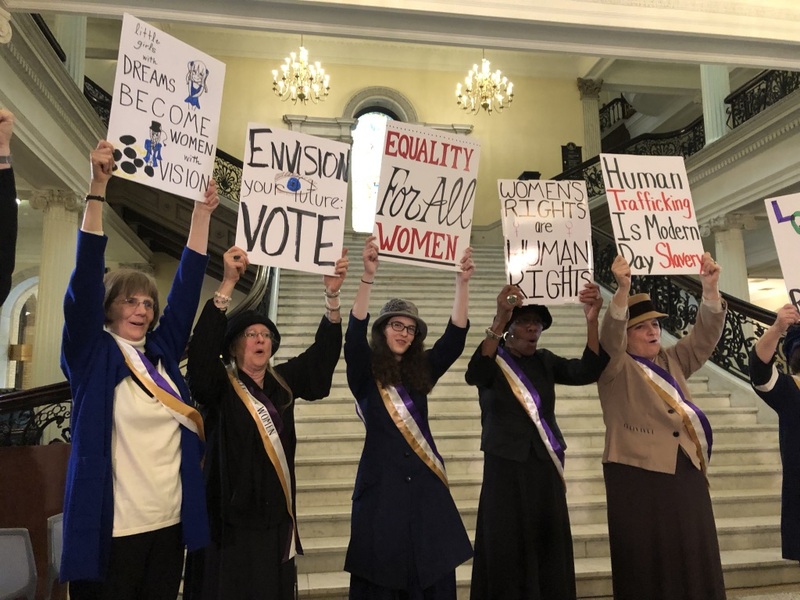 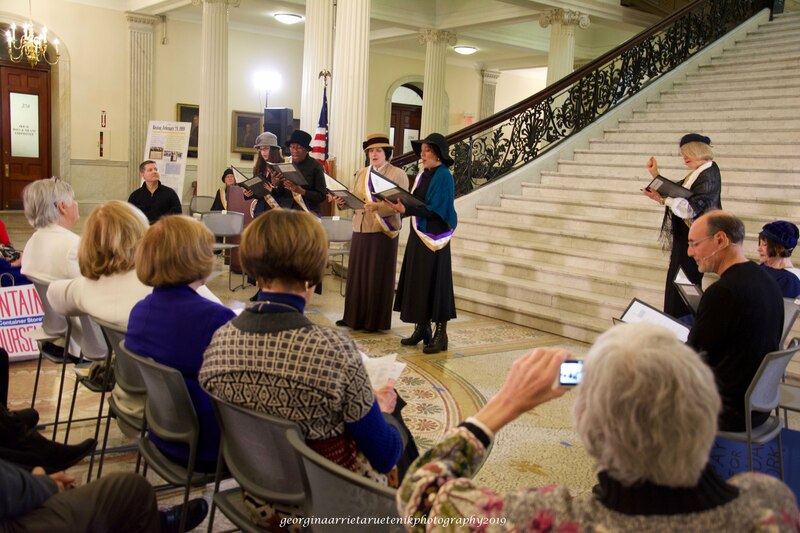 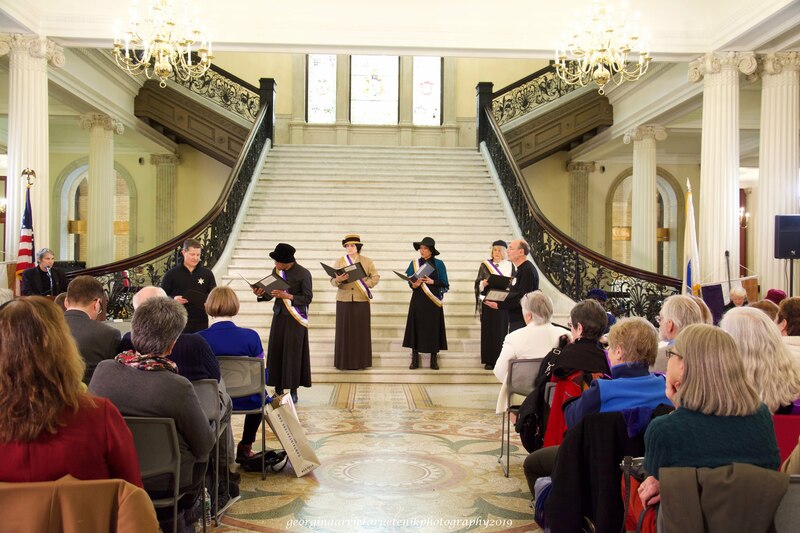 The commemoration event took place at the Massachusetts State House, the site where the suffragists were arrested 100 years earlier. 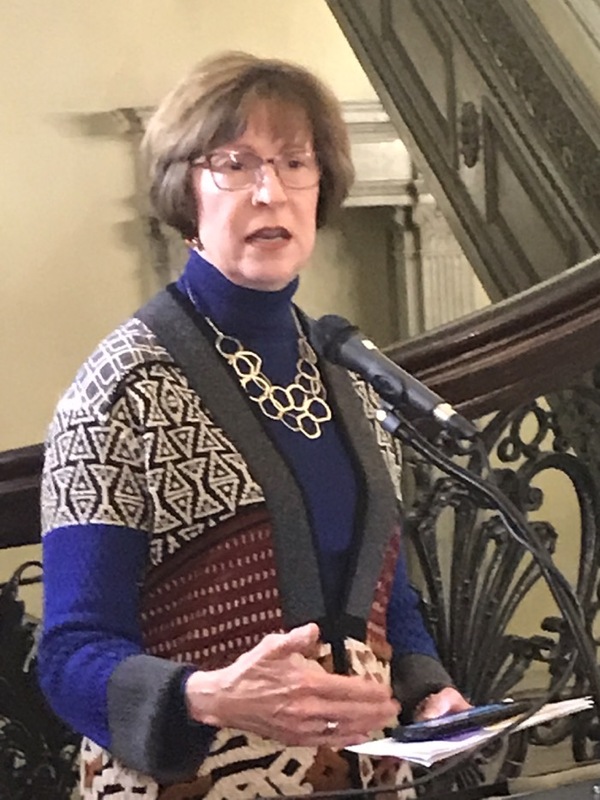 WSCC Founder and President Fredie Kay welcomed the audience, introduced the speakers, and thanked them for their unwavering commitment to issues that impact all women. 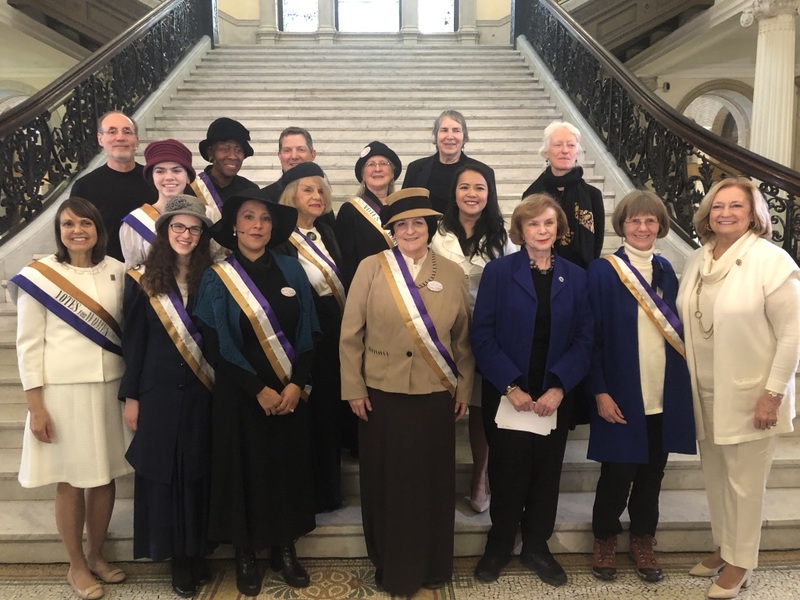 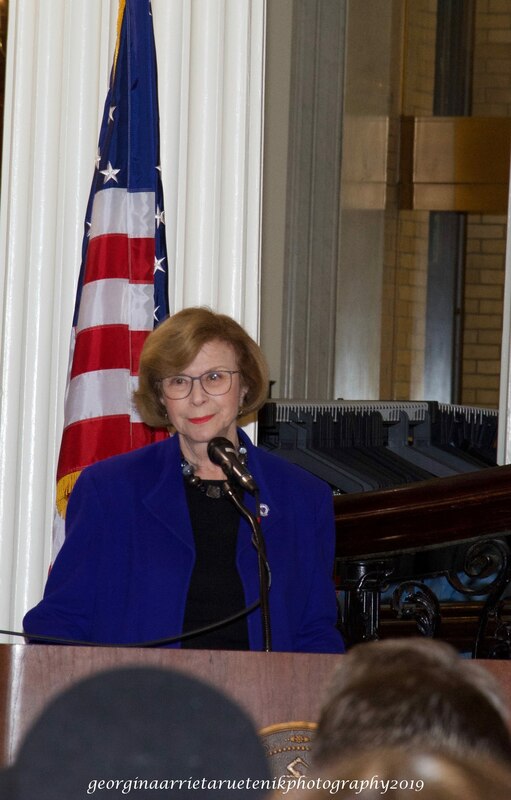 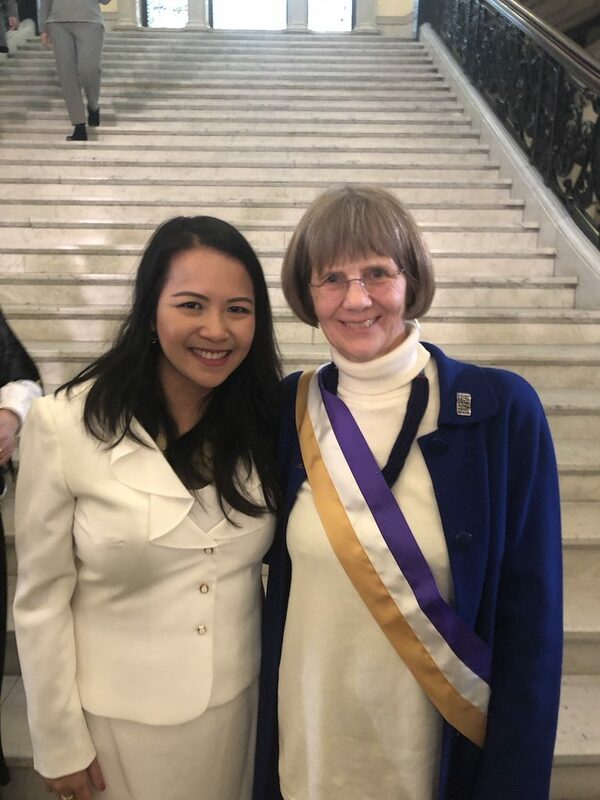 WSCC was honored to have these women leaders as part of our program: Senate President Karen E. Spilka, Auditor Suzanne M. Bump, Senate President Emerita Harriette L. Chandler, Speaker Pro Tempore Patricia A. Haddad, and Representative Tram T. Nguyen. 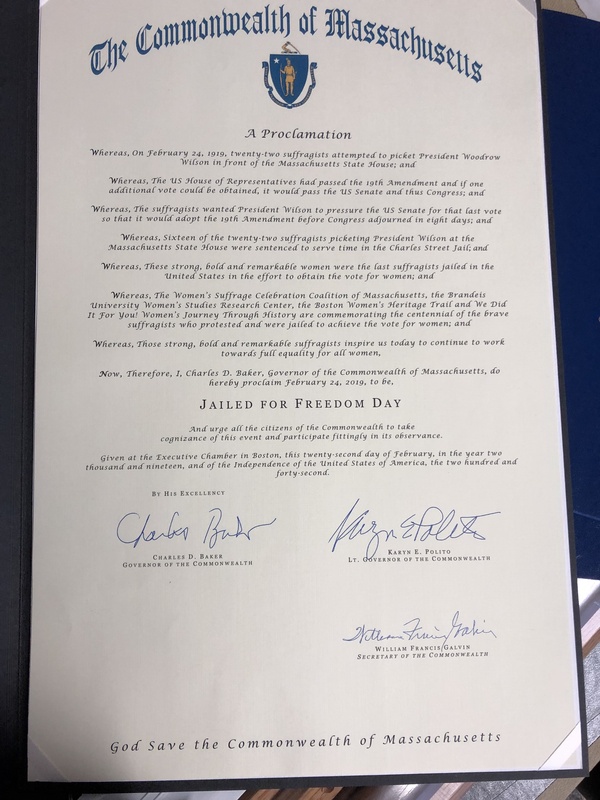 February 24, 2019 was proclaimed “Jailed for Freedom Day” in a Commonwealth of Massachusetts Proclamation issued by Governor Charles D. Baker, Lt. 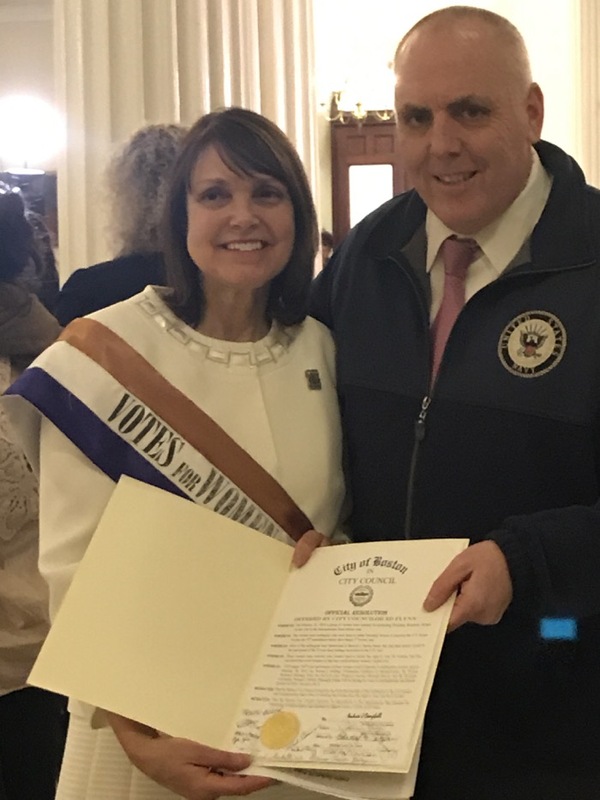 Governor Karyn E. Polito, and Secretary of the Commonwealth William Francis Galvin. 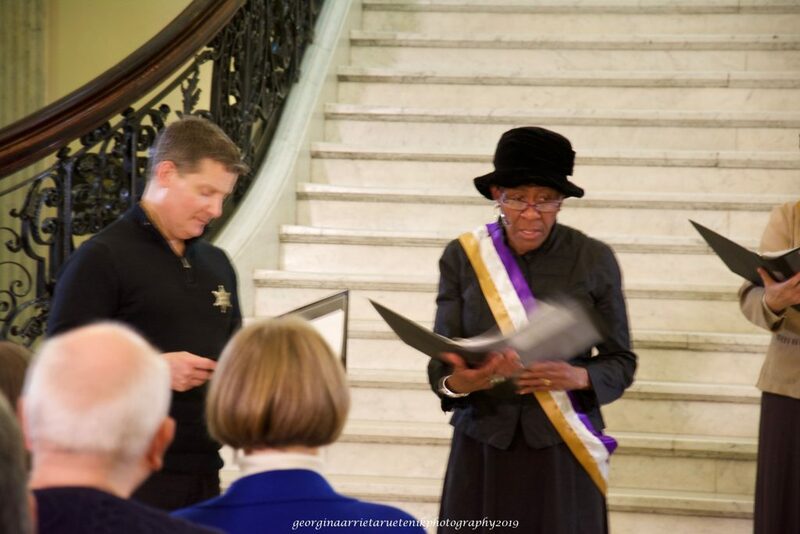 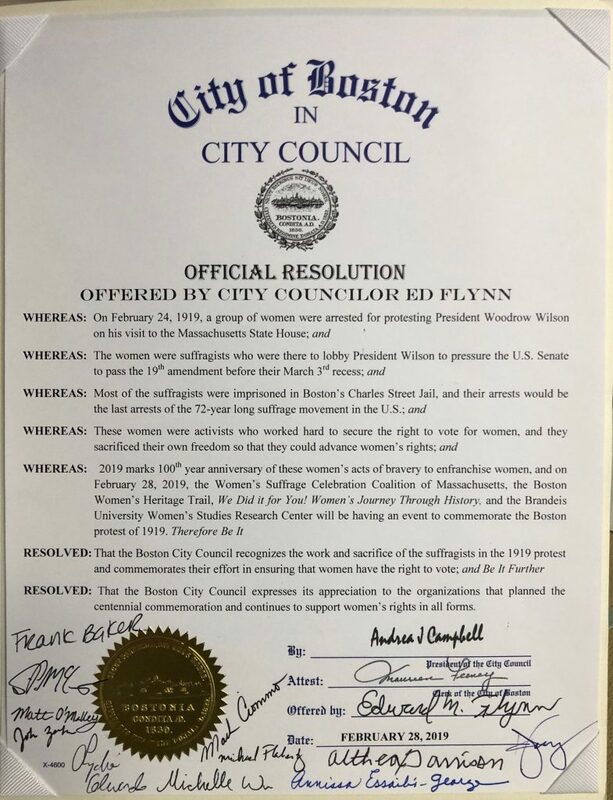 The City of Boston recognized the 100th Anniversary of the women jailed for freedom in 1919, and the State House event in an Official Resolution offered and signed by City Councilor Ed Flynn, and signed by Boston City Council President Andrea Campbell and the other eleven members of the Boston City Council: Annissa Essaibi George, Michael Flaherty, Althea Garrison, Michelle Wu, Lydia Edwards, Frank Baker, Timothy McCarthy, Matt O’Malley, Kim Janey, Josh Zakim, and Mark Ciommo. 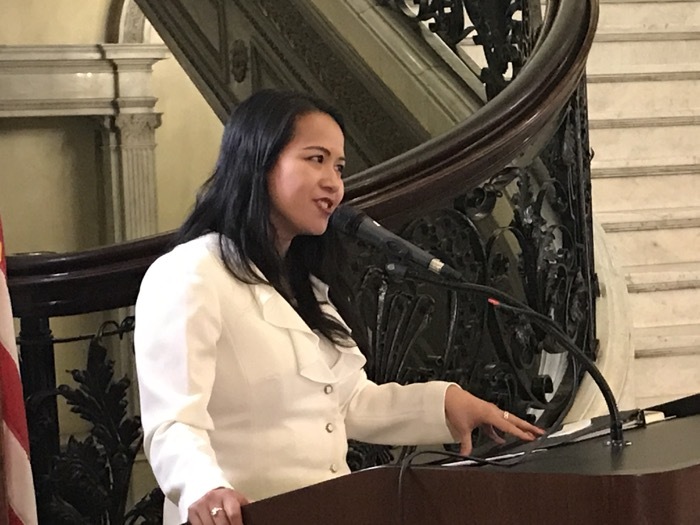 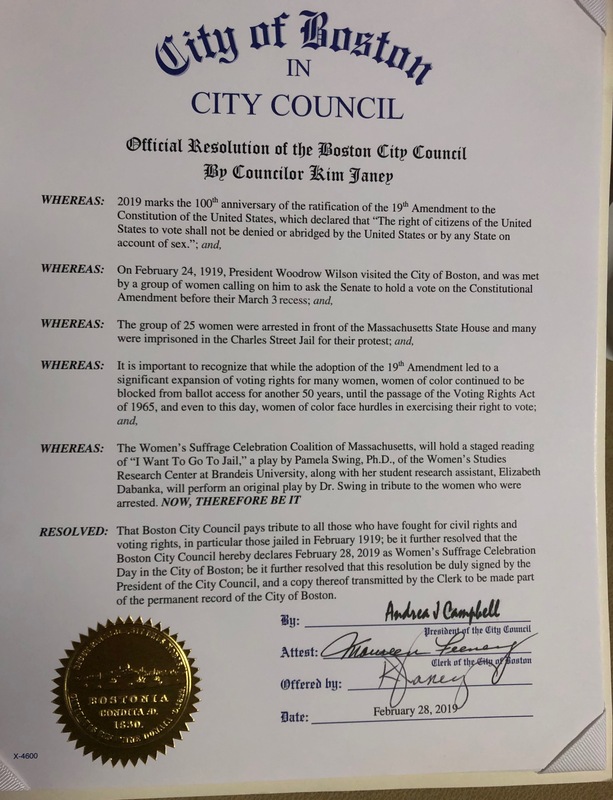 Further, Boston City Councilor Kim Janey offered an Official Resolution of the City of Boston, signed by Boston City Council President Andrea Campbell, recognizing the centennial of the women arrested and jailed, and noting that until the adoption of the Voting Rights Act of 1965, women of color were blocked from ballot access, and that even today, women of color still face hurdles in exercising their right to vote. 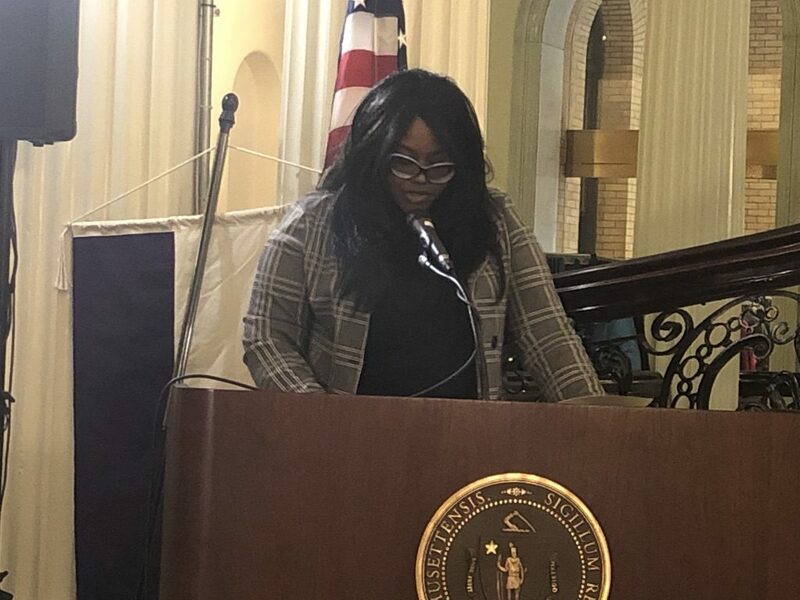 Makayla Parkin, Community Relations Coordinator, Office of City Councilor Kim Janey, read the proclamation at the event. 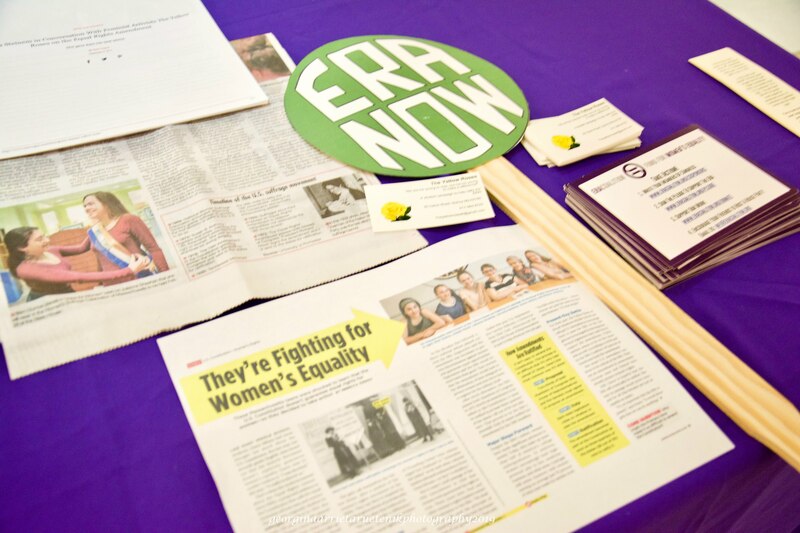 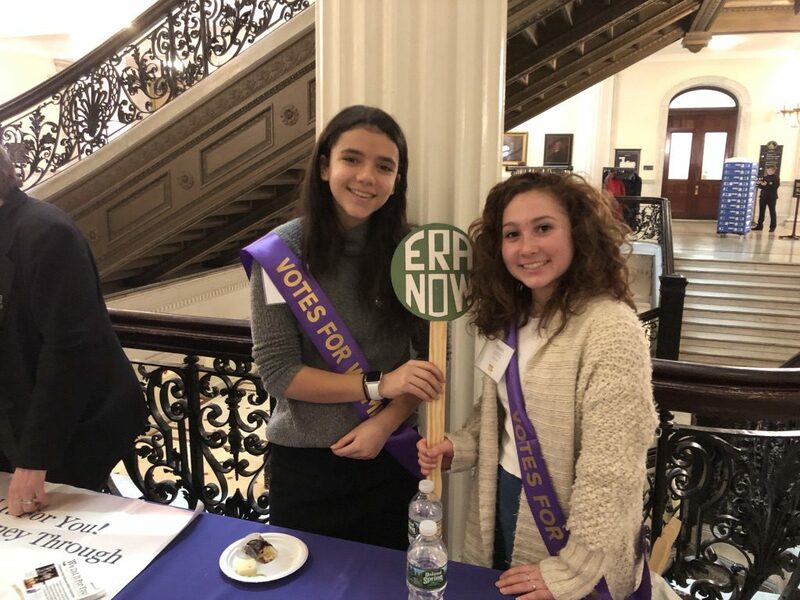 WSCC was pleased to welcome The Yellow Roses, a group of high school students who are indefatigable advocates for ratification of the Equal Rights Amendment (ERA), first proposed by suffragist Alice Paul in 1921. 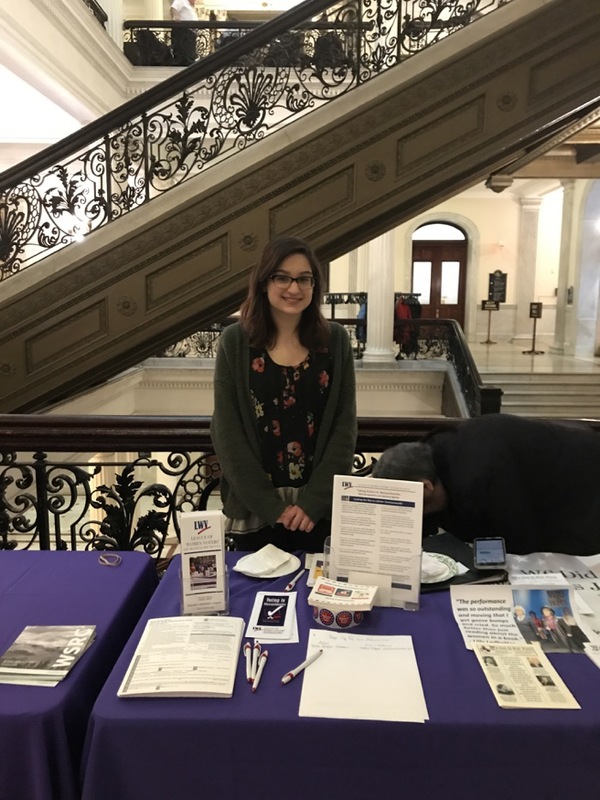 Thank you also to the League of Women Voters of Massachusetts for staffing a voter registration table at the event. 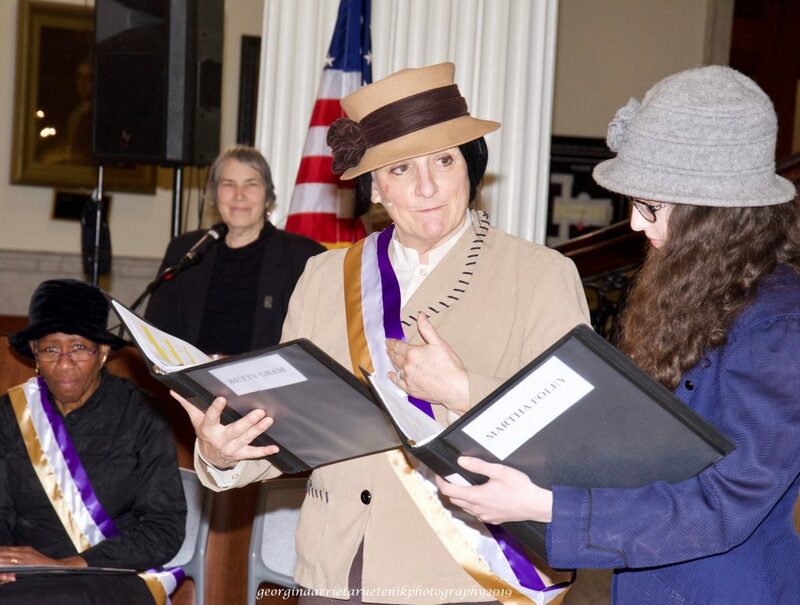 “I Want to Go to Jail,” an original play by Pamela Swing, Ph.D., and Elizabeth Dabanka, Brandeis undergraduate (photo on right), transports you back to February 1919, when women suffragists grappled with unexpected obstacles in their quest for the final vote needed to pass the suffrage amendment. 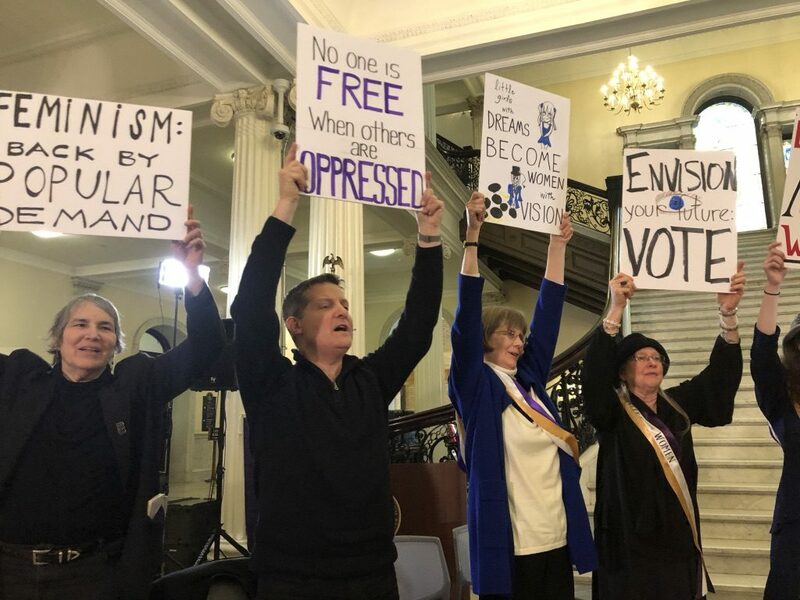 The suffragists were arrested for picketing President Wilson at the State House in Boston, and served time in the Charles Street Jail.